Too right it is! If we are to write in a portal especially so on negative issues or “truth be told” and call it”englandreport.org” and has wide readership what happens? We expose all the negative reports on the country Britain surely sooner or later they will be ‘agent’s at our offices or tracking us down” and also giving us some ‘friendly advices.” Bet you there would. Seems though Claire Rewcastle Browns arrival to Sarawak was politically timed and motivated as it coincided with PM Najibs visit to Britain. She knows very well that CM Taib and some together in the administration who have been “EXPOSED UNNECESSARILY” are not exactly “very fond” of her and will do whatever to tarnish her credibility. Does she know she will be stopped? Are they trying to use “public opinion” to move her case and by gosh Claire will capitalise on this to move the agenda to see an end to Taibs rule. Are we convinced that she is doing it for Sarawakians? She is a British subject and she will tell the world that a British subject is turned away from the country which was once a British colony. The arguments will also be its an outdated immigration law and it should be changed as its irrelevant now. Moreover now Lim Guan Eng (CM Penang ) is also getting into the act. This is extracted,‘Lim said the barring was an abuse of immigration powers to prevent Brown from exposing alleged financial improprieties in the state. He said,”I have met Brown in London and she struck me as a conscientious defender of justice, right over wrong and freedom of choice. She has an abiding love for Sarawak because she was born and had lived in the state. Control over immigration into any part of Malaysia from outside should rest with the Central Government but entry into North Borneo should also require the approval of the State Government. The Federal Government should not be able to veto the entry of persons into North Borneo for State Government purposes except on strictly security grounds. North Borneo should have unfettered control over the movements of persons other than those in Federal Government employ from other parts of Malaysia into North Borneo. From BMF to CM Penang and now even this another way of trying to tell the world how bad CM Taib and Sarawakians are suffering. By the way let me ask this to those who think Sarawakians are mistreated or dying with hunger? Are we homeless,dying on the streets from hunger or shooting at each other because of differences in political views? Mind you it must be noted that mosts Sarawakians are peace loving people but unhappiness,dissatisfaction on certain issues are only HUMAN but we cannot have everything we crave for. Some are born rich,others scrapping for a living and the world is balance in such a way that one cannot run away from it. 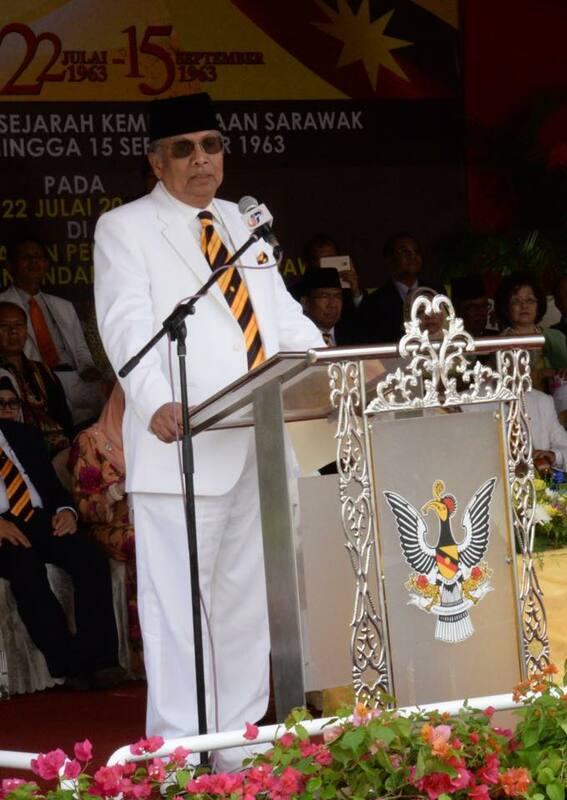 To prove my point, he spoke freely at a Barisan National convention in 2010 in which when I went to the toilet two(2) Menteri Besars( Chief Ministers of their respective states) said Taib must be commended for what he has spoken and he keeps to his words. We must emulate him and he has given FREEDOM to the peoples faith. MANY SARAWAKIANS WITHOUT DOUBT WILL AGREE WITH ME ON THIS. See Chee How an lawyer,activist and PKR Vice Chairman cannot step out of Malaysia as he has his passport confiscated. Well, isn’t this a political message which Claire wants to tell the Sarawak Government and Malaysian Government that they cannot do that? Are they other “HIDDEN HANDS” involved in trying to see an end of Taib Mahmud and his administration? Truth be told and its a fact. Taib can easily walk away from it all but he has indicated recently that he will leave midterm. They are some who are “impatiently” wanting to see a new leader to helm the State. There are a number of would be ‘Successors” which we have written earlier and ‘whispers are now heard some are PRESSURED to make it happen sooner rather than later. Why is it so PRECISELY DONE like a surgeons incision in that Claire must come to Sarawak at a time when Najib meets Cameron? IS THIS POLITICAL JOURNALISM OR A COUP? IS THIS KILLING TWO BIRDS WITH ONE STONE? We don’t want Sarawak to be scrutinised by Foreign Blogs nor Interferences and we cannot imagine what would happen to us if we were to pick only on British affairs. In recent times we have been bombarded with “WIKILEAKS AND NOW WE HAVE THE EDWARD SNOWDEN SAGA? IS THAT WHAT CLAIRE WANTS AS SHE HAS POWERFUL BACKERS TOO?